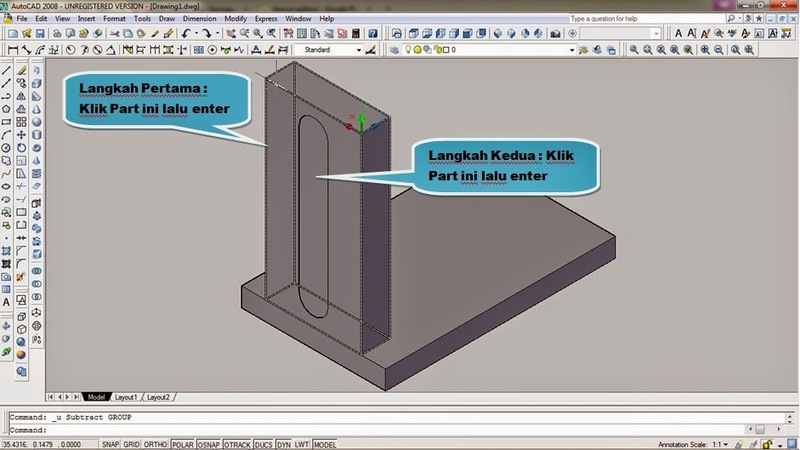 Hello, here I’m going to share how to make bracket by AutoCAD. Now we’re gonna learn how to using extrude menu, subtract and union. And for the 2D we will learn about region, trim, rectangle, line, new UCS. 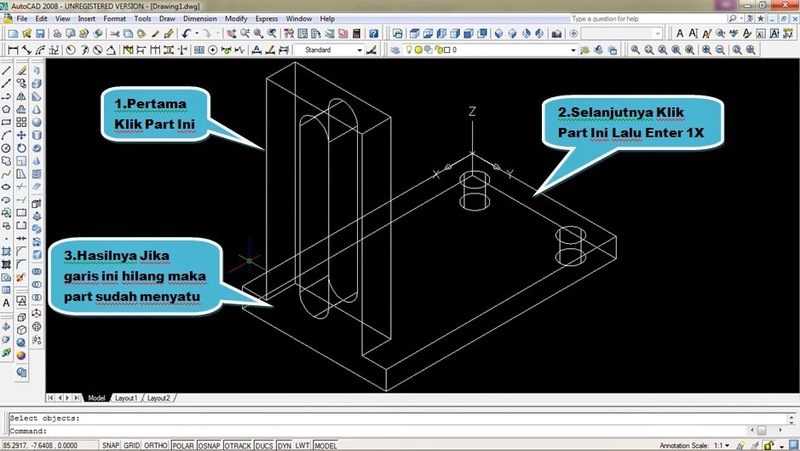 For the first step, you need to prepare AutoCAD software, then click new drawing. Then let’s begin to make bracket by AutoCAD. Click Rectangle menu then click drawing area and fill the size 96,60 for making the square 96 x 60 mm. Then it will look like this below images. Click Extrude then click rectangle line then enter. Fill the extrude sizes 8. The display will be like this below image. Click Rectangle, and click the corner of the line that we’ve just made and input the size by typing @40,12 then enter (For determining plus or minus point, see the UCS while we made the rectangle). For the result look at this image. Then erase the 10,0 line that we just made. 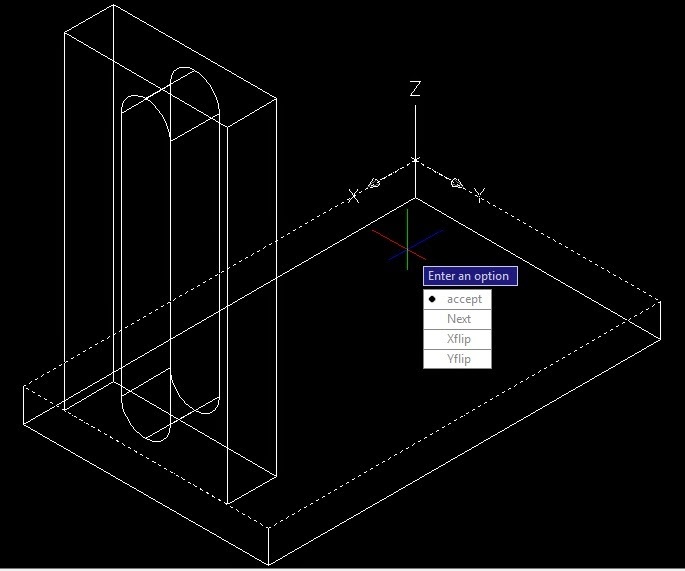 Click Extrude then click the sketch that will be extruded and enter. Input the size 80 (80 mm). And here is the result. We need to make a sketch or the profile first, before we extruding again. First, change the UCS axis by choosing Tools menu then New UCS choose Face. Look at this below images. Then click the behind extrudes side that we just made. See this image. – Accept : if you choose to accept, so you have to agree with the UCS display on the image above. – Next : if you choose next, so you disagree with the faces choice and it will show the next face. 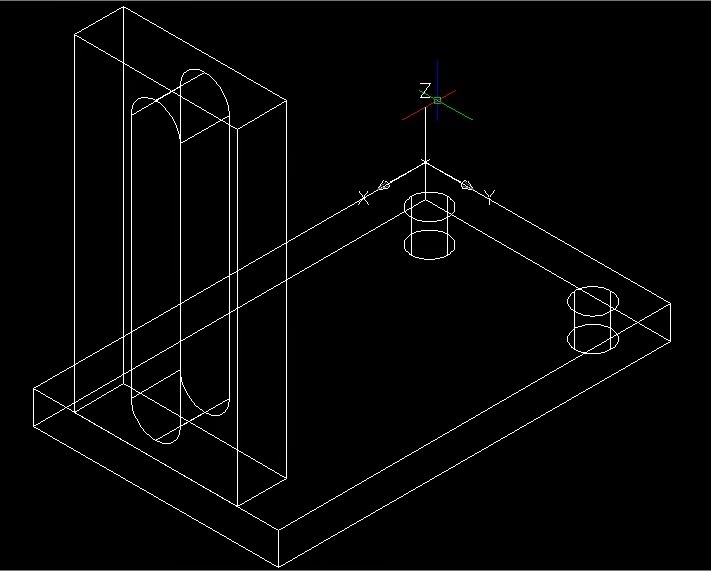 – Xflip : if you choose Xflip, the UCS will be rotated or move and the X axis will be stopped and be the rotation axis. – Yflip : if you choose Yflip, the UCS will be rotated or move and the Y axis will be stopped and be the rotation axis. Because of we haven’t agreed yet with the UCS axis, so click Xflip once time and the UCS will change. Then click accept for once and it will be like this. Click Line, then click Midpoint for the first line on the extrude corner which is last. See this image. Next, type the size @0,-10 then type again @6,o then Esc or enter. (look at the UCS direction, sometimes when clicking midpoint the UCS direction will be changed for minus or plus for adjusting the size). Here is the display image. when we’ve been made helpline. Now click Rectangle then click the corner of help Lines that we just made. Fill the size @-12, -16 (Customize the UCS direction for the plus or minus if the UCS change). Then remove the line that we just made. And the display will be like this. 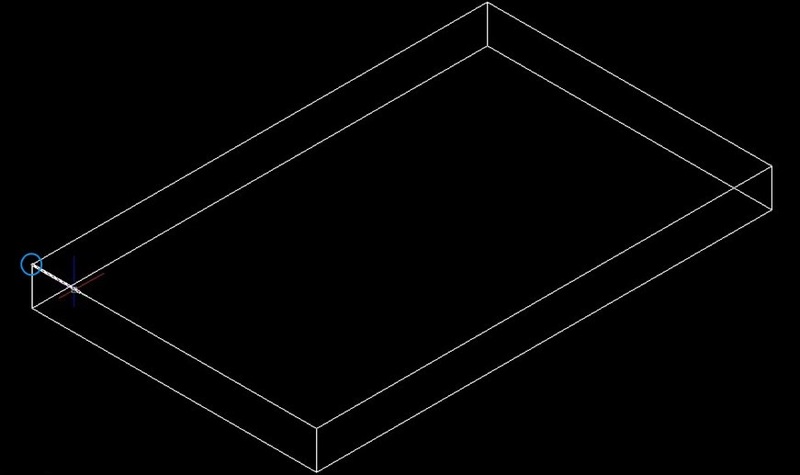 And next, we make a circle with a point center line of Rectangle which above and under of rectangle or the width line of the rectangle. Look at this below image. And now, trim the several lines by clicking trim then type “ALL” and enter twice. And the result would be like this. 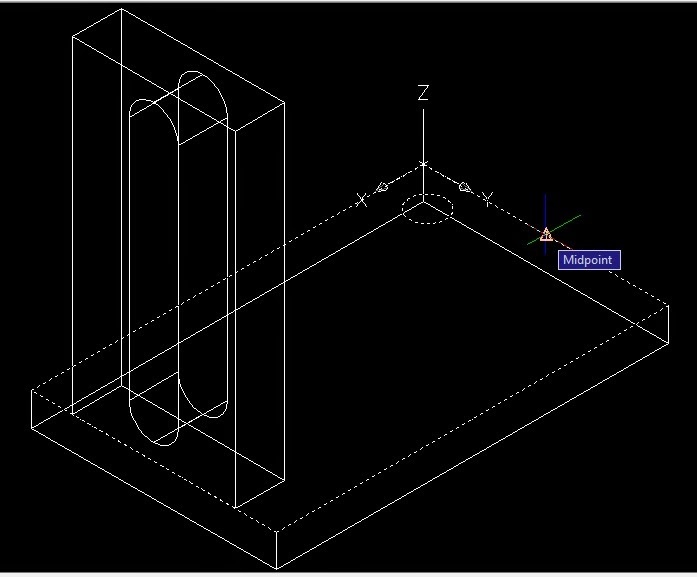 After we made a sketch, now we will region the sketch line that we just made, in order that the line can be united and we can extrude it. Just click Region menu, then click the all sketch line that we just made then enter. And the result would be like this. 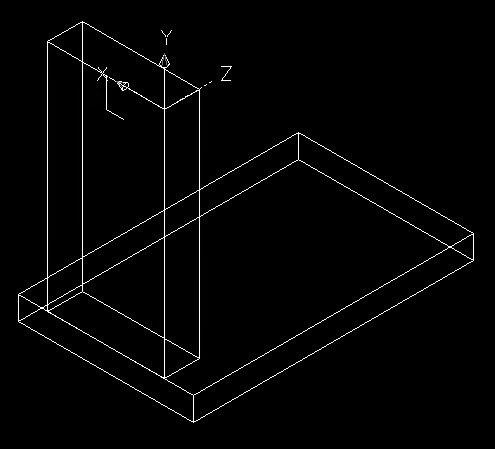 Then extrude the sketch above. 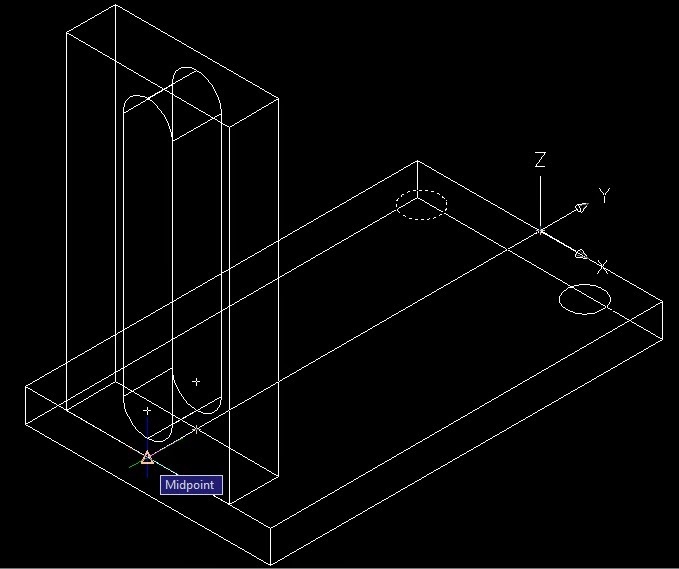 Click Extrude, then click the sketch that we just made and enter. 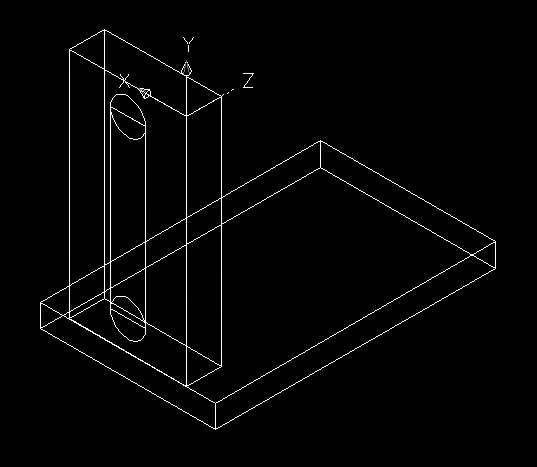 Sliding the cursor to the body inside or to the Z axis then input the size. 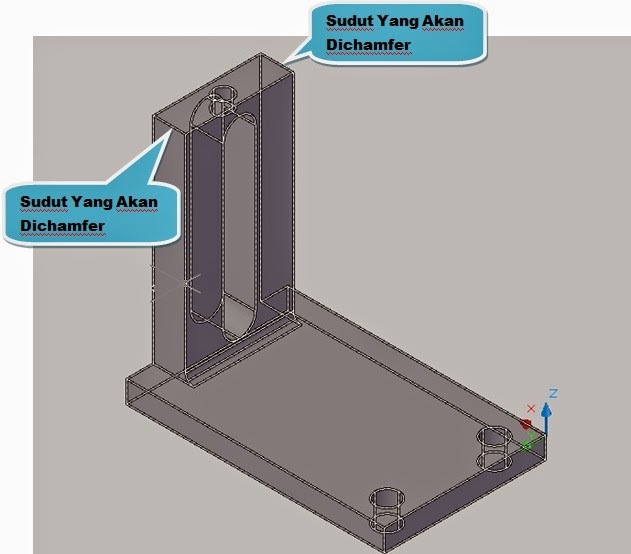 (For the extrude that we will make input the size with minimal 12 mm because we’re gonna subtract that’s section then make it being perforate). For make the result clearly just click Conceptual Visual Style, like this bellow image. 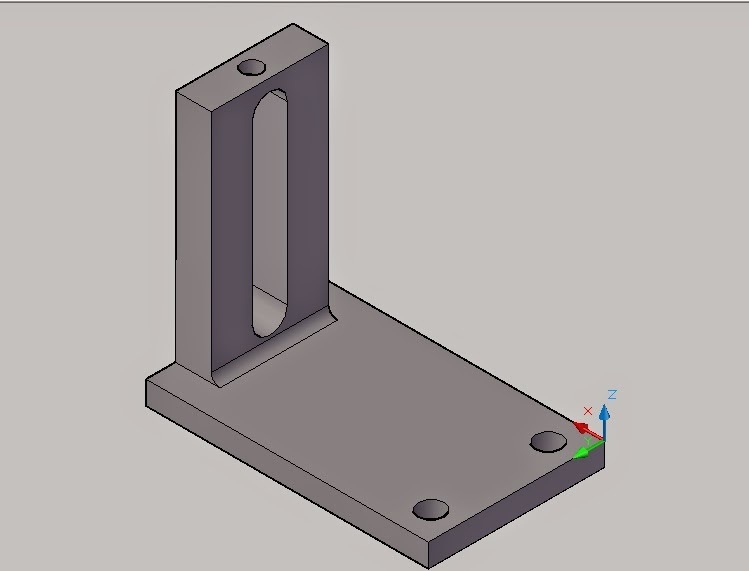 On the image above, we can see it clearly that there is a part that struck on bracket part.Click Subtract to subtract the part that we just extrude then click part bracket and enter and click the extrude part then enter. See this image. And here is the Subtract result. 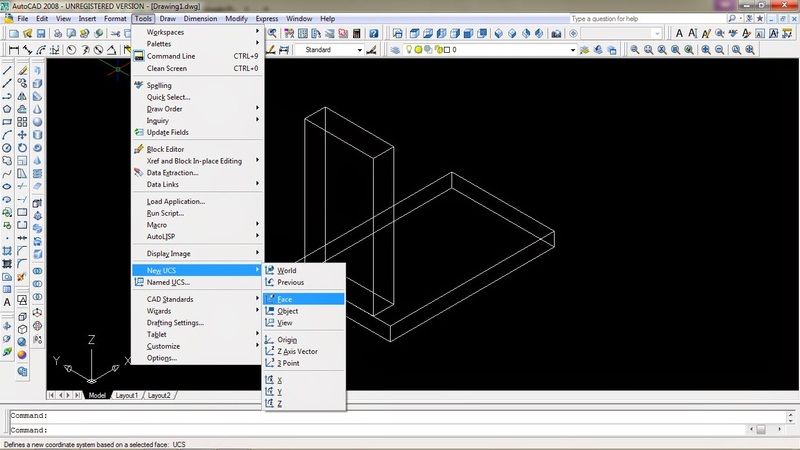 Click the icon of 2D Wireframe for making a hole. Then change the UCS first by clicking Tools then choose New UCS, then choose Face and for the next, click the top part from the downward part (The first Extrude). Look at this image. Because the UCS direction has been suitable click accept. Click Line for make the helplines. 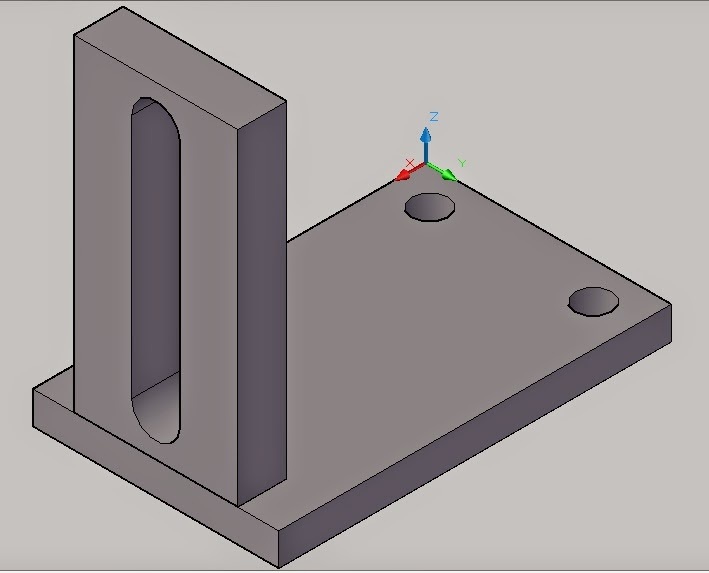 By clicking Line menu then click corner that occurs on the 0 point of XYZ axis. Then type @9,10 then enter. Look at this below image. Click circle and click the line corner that we just made and input the size 8.8 (8,8 mm) then enter. And for the next, remove the help lines (@9,10). Here is the result. Then click Mirror menu then click the circle than enter once. 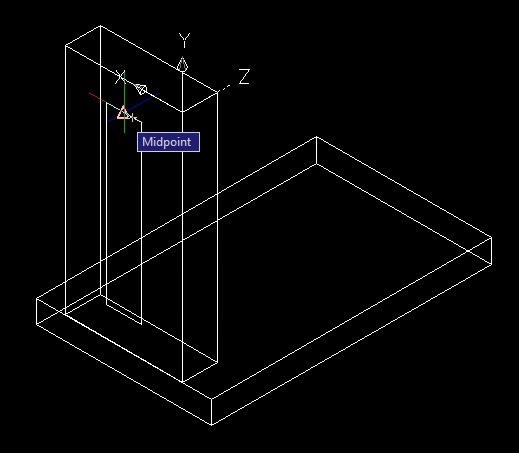 then click Midpoint from the below part as the Mirror then click the second Midpoint then enter for once. look at this image. Click the second Midpoint and we will get the question Erase source objects? [Yes/No] <N>: it means that do you want to erase the source object or make the object as a mirror. If you click enter so it means that you answer NO because inside of brackets the N symbols <N> . If you wanna erase the object on a mirror just type Y then enter once. For more clearly looking at the dialog box. Because of we didn’t erase the object on a mirror, just click enter. And the result would be like this. The next is, we will extrude the circle that we just made. 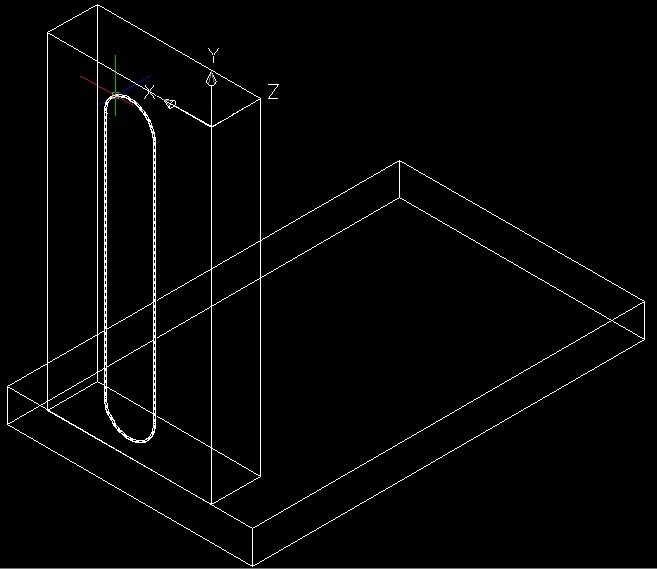 So, just click Extrude, then click 2 circle sketches then enter it and input the size 8. 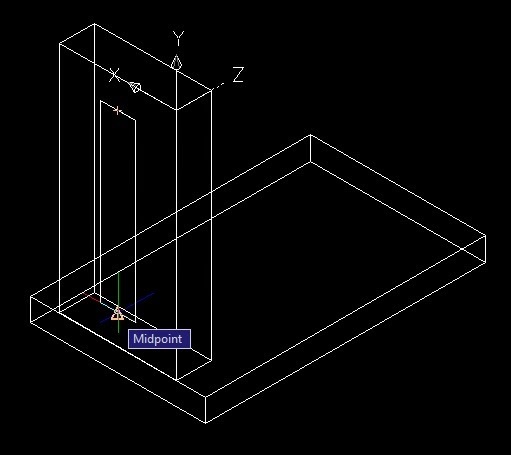 Because of Z – axis direction to the top, meanwhile we will extrude to the downward so we need to type -8 then enter once. Now, we will Subtract the circle that we’ve just extrude. By clicking Subtract then click body bracket then enter. Click the circle 1 then enter. After that, click Subtract again then click body bracket then enter and click circle 2 then enter. Here is the result. (it’s better if we choose Conceptual Visual Style). 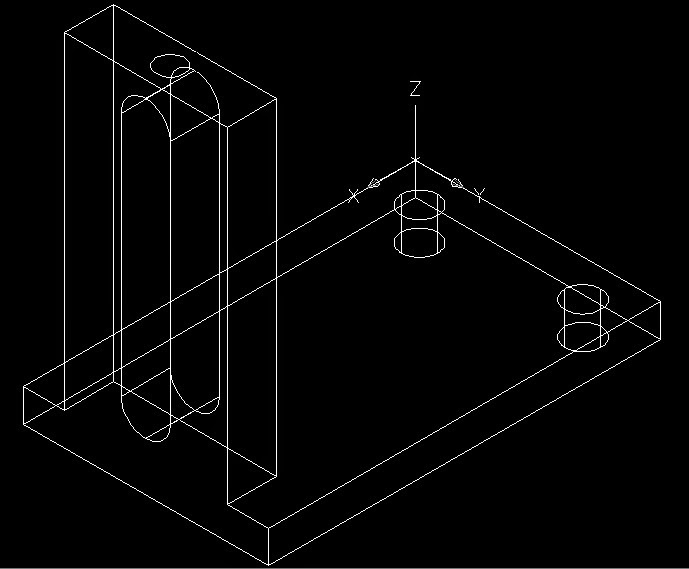 After that use Union to combine 2 extrude that we just made (extrude 8 mm and extrude 80 mm). 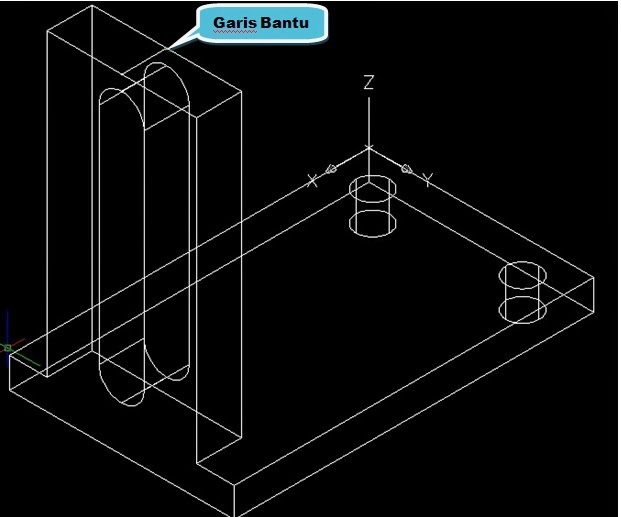 Let me tell you, if in the AutoCAD software if we make 2 sketches or much more then the result can be united except we unite it by using Union. Click Union menu, then click the first object and enter. Click again the second object then enter again. So that, 2 objects has been united. For more clearly, follow the step on this below image. Then we will make a hole on the top of the part. But before that we need to make the help Lines by click Line then click Midpoint to the Midpoint. Now click Circle then click the Midpoint helpLines that we just made then input then cyrcle size that is 6.8 (6,8) then enter. And we remove the help Line. Next step is extruding the circle. 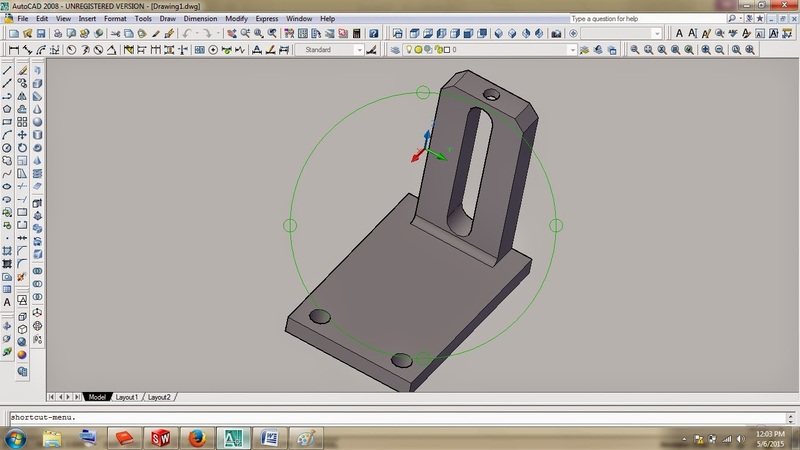 By clicking Extrude then click the circle then input the size that is 6 (because of we will make a Subtract inside of the next step, so we’ll give the size on the top is 4 mm so we’ll give the size is 6 mm). Then enter. Here is the result. 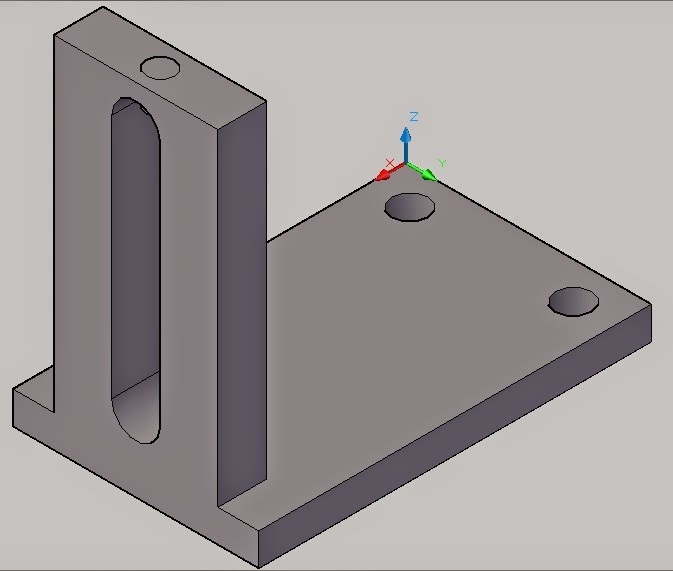 On this several last steps, we will make a finishing for this part that is we will make a champer and fillet on this bracket image. 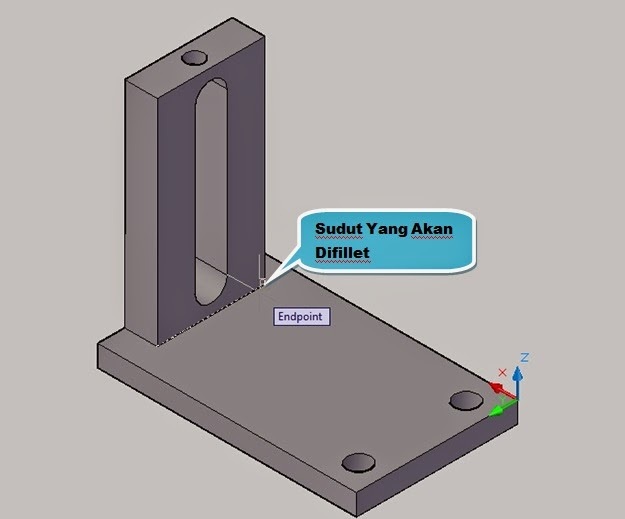 For make fillet or chamfer more easier and in order that we can see which line that we will fillet, so we need to change the point of view of the bracket. 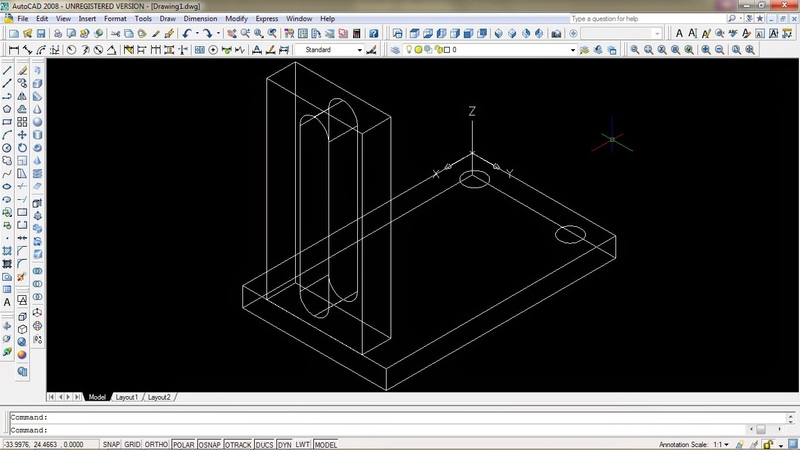 Click SE Isometric on a toolbar, then the bracket will look like this. 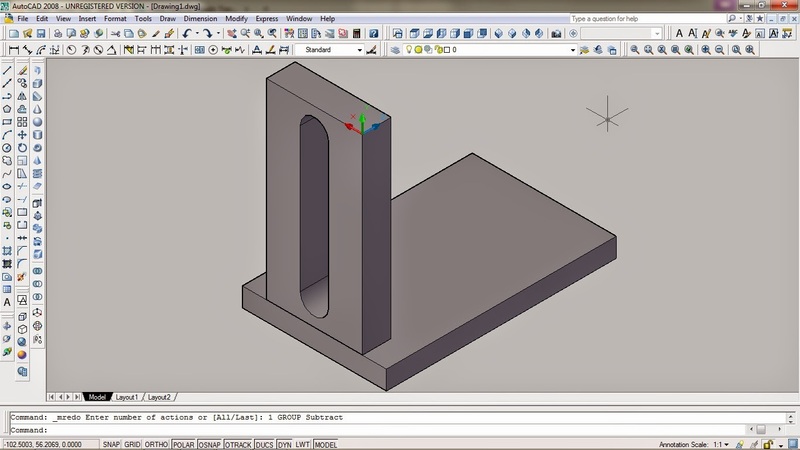 Click menu on a toolbar, then click the point that gonna be fillet. Input the radius fillet size that is 3 then enter. For the next, we will chamfer the top corner. Click Chamfer menu and in a dialogue box, there will appear choices menu, like this. 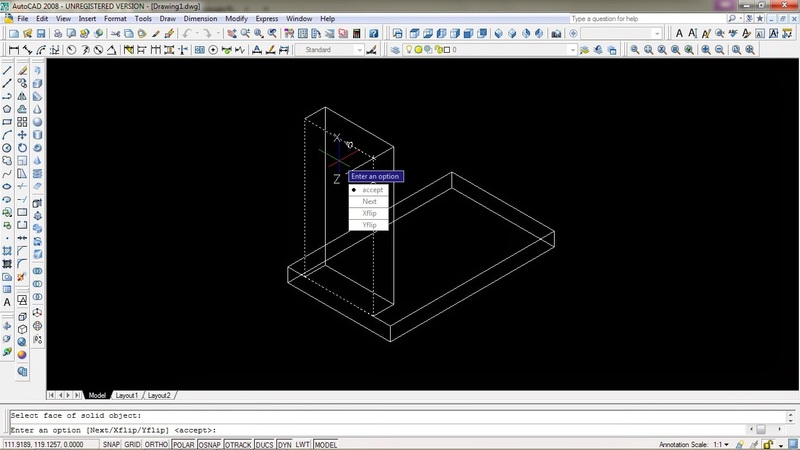 There are a lot of several choices likes Undo, Polyline, Distance, Angle, Trim, method, Multiple. If you wanna choose one that’s choices, you just need to type the capital letter of that’s choices. For the example, here we will use Distance way so that just type D and enter. Don’t forget to input the size that is 5 then input the size again that is 5 and enter. Click the corner/ or the line then click enter twice. Then click the corner again then enter. Click Free Orbit on a menu Orbit for seeing clearly the result. Then rotate the part bracket by clicking the part bracket then holds it out and rotate based on the position that you want. Look at this below image, here is the result of bracket image.